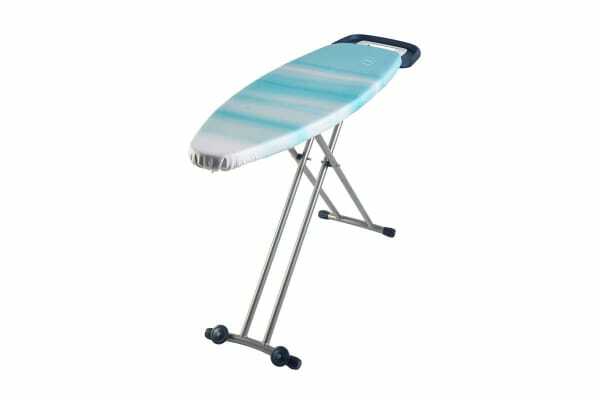 Featuring an extra large surface and convenient hanging rails, this ironing board includes everything you need to speed through your ironing faster! Make ironing less of a chore with the Sunbeam Chic XL Ironing Board with Reversible Cover that is fully machine washable and made from 100% cotton. The thick 500gsm felt padding provides a stable surface for ironing and also retains heat to prevent dampness so you can iron and wear your clothes right away. With a convenient iron rest, you can iron and hang your clothes all at once and get through your ironing quickly and efficiently. 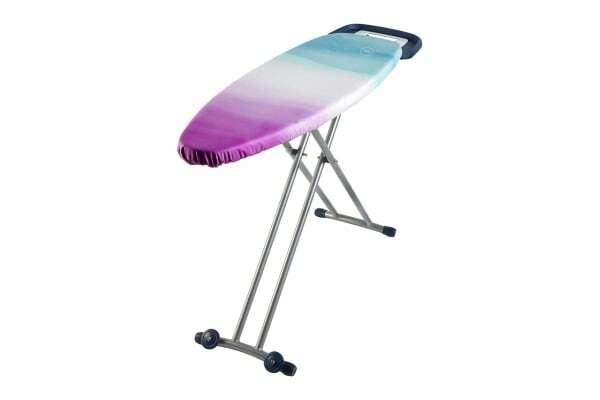 The sturdy stainless steel legs make it a reliable ironing board and the perfect addition to any home.